Agent Focused Pro is a WordPress real estate theme that provides a platform to take full advantage of the latest IDX* real estate plugins. If you don’t already have an IDX provider, we recommend signing up with IDXBroker and allowing us to serve you with your IDX support needs. You can use Agent Focused Pro with any IDX provider, although some styling may be required. Bring your Agent Focused theme alive with MLS property listings, search engine optimized content, and powerful lead generation tools. Utilize short codes to embed specific listings in any page or post on your Agent Focused Pro theme. Multiple and varied widgets allow lead generation, quick search, and property listings in your sidebars. 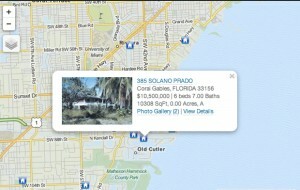 Use the incredibly popular map search to show available properties on your website. To get these features and more, Agent Focused prefers this IDX provider: IDX Broker. *Note: The purchase of this theme does not include IDX services or the integration with your IDX provider. The service is a monthly subscription paid directly to your IDX provider and integration is a task performed by you or your web developer.